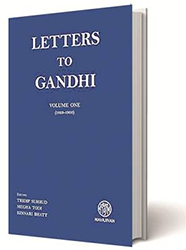 Letters to Gandhi - Who were the people who wrote to Mohandas Karamchand Gandhi? These letters were all brought from South Africa more than a century ago. So many must have been lost or destroyed enroute and over time. However, we still have gems with us. Like the extended correspondence in November, 1895 by “Captain Hitchins’ Indentured Servant Madurai”, who ends his letter on November 11, 1895, with the plea: “It is the talk of the Colony that the Indentured Indians receive protection from you and also your name is famous everywhere. Wherefore I request you very much to protect me”. C. Rammanohar Reddy is a writer and commentator based in Hyderabad.